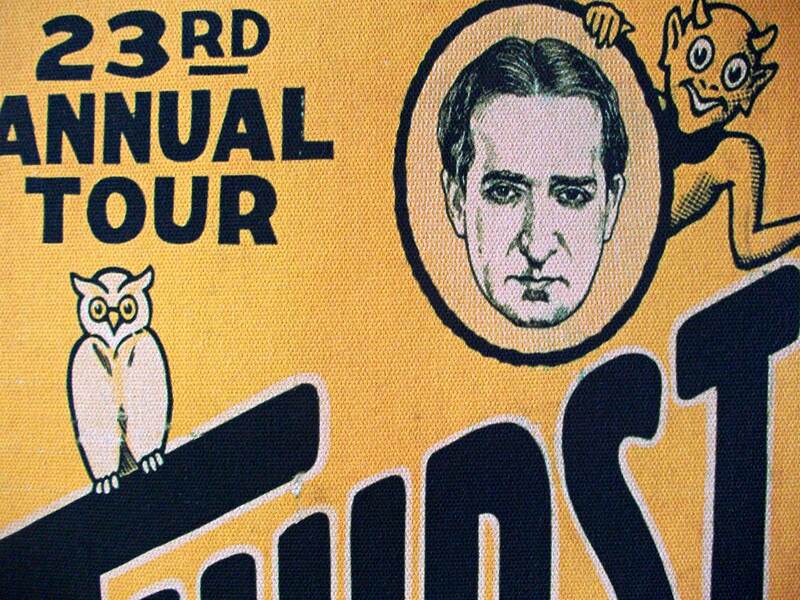 Howard Thurston (July 20, 1869 – April 13, 1936) was a stage magician from Columbus, Ohio, United States. His childhood was unhappy, and he ran away to join the circus, where his future partner Harry Kellar also performed. Thurston was deeply impressed after he attended magician Alexander Herrmann's magic show and was determined to equal his work. He eventually became the most famous magician of his time. 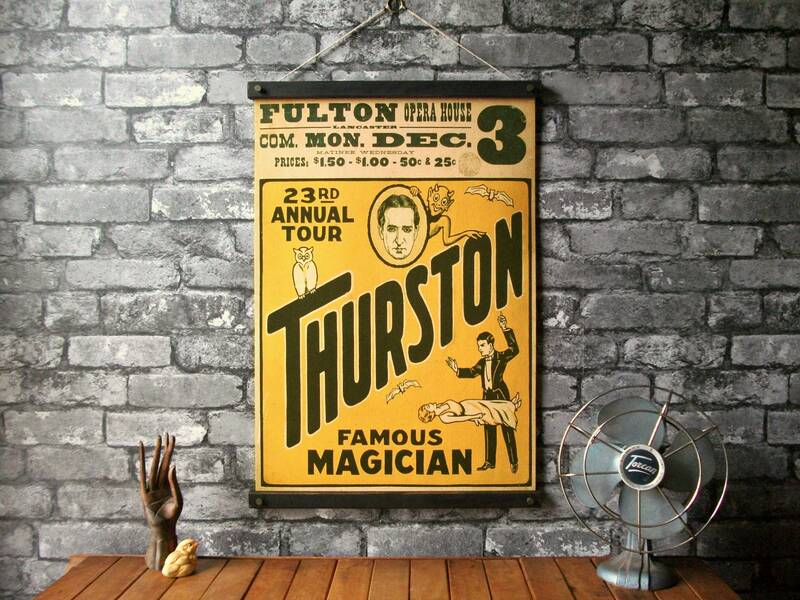 Thurston's traveling magic show was the biggest one of all; it was so large that it needed eight train cars to transport his road show. This poster is advertising his 23rd annual tour.